TNUSRB Police 2018 Exam will be conducted on 11th March 2018. 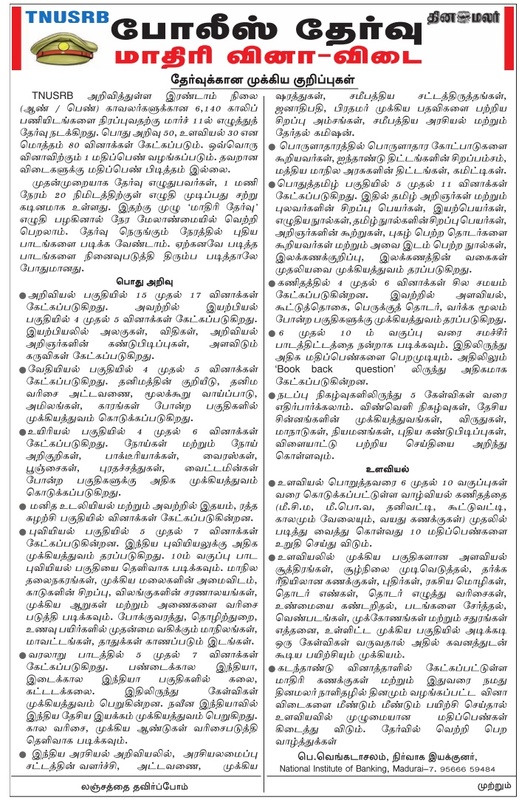 Candidates who are preparing for this exam can use this model question papers from Dinamani Newspaper. Practice this model question paper to attempt the actual exam without fear. Public Service Commission within 2 years of joining the service. I studied tamil in X th std but French in XII std. Am I Need to Take the tamil test as mentioned in notification??? Please upload the statistical inspecter exam study notes .Then thankyou give the exam notification.